Inner city style & sophistication. - Large master suite with walk-in-robe & ensuite. - Generous second bedroom with built-in-robes. 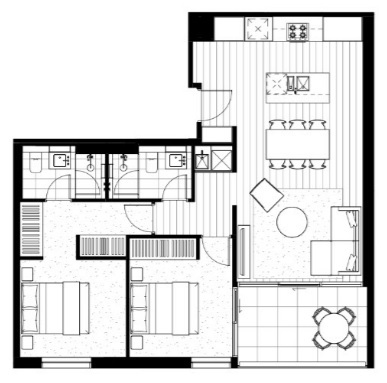 - Gourmet kitchen, Miele appliances, ample storage. - Versatile living & dining zones. - Undercover private terrace (65 Sqm approx.). - Secure car space, on-site building manager. - Ducted heating & cooling, video intercom. Position; outstanding… the best that Melbourne has to offer at your doorstep, vibrant Hawksburn Village, cafes, restaurants, shopping, parklands, Orrong Park tennis courts, Melbourne’s leading schools, all transport, CBD & the MCG.